You expect Wiis to be rarer than cancer-survivor unicorns around Christmas, not iPods. 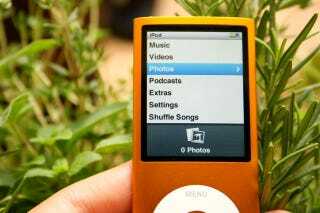 But analyst Shaw Wu says that iPod shortages are going all around, from the iTouch to the shuffle, and at multiple retailers. The first sign of retail shortage started with the iPod touch at Amazon on Black Friday, where lead times expanded from 11 days to 3-5 weeks on both models. AI notes that the available models now come from affiliates and "are not a reflection of its own inventories." Wu's latest checks show that the nano and shuffle are getting scarce too, with shortages at retailers like Best Buy, Target and Walmart.